With buying a motorcycle or even building one of your own, one of the most critical parts to consider is its fork. Motorcycle forks have many names yet, they are usually classified into 2: Conventional and Inverted. These types of forks are ideal for Choppers, which are bigger types of motorcycles and for racing bikes such as dirt bikes and Ninjas. Choosing between these types of forks is often a very difficult and confusing activity for many motorcyclists as they present numerous advantages and disadvantages for any kind of motorcycle. For those wondering which fork works better, let us first explore their differences as well as the advantages and disadvantages that they present to choppers and sports bikes. In regards to the springer forks we sell in both inverted and standard, there is little difference in performance in terms of inverted vs conventional (standard). However, the inverted design best fits a chopper that has a big rake and a low chopper design which is bike with a heavy lower end. The standard (conventional) springer for design (STD) is good for a bike with a short rake, ol skool style! 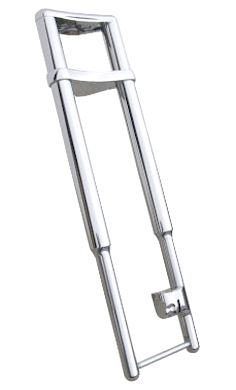 A conventional fork (right side up) usually consists of a long thinner pole, often made of chrome called the Stanchion that extends to a thicker pole called the slider. The slider is located right by the axle and this is where the entire fork is clamped into a triple tree. It basically resembles a thinner pole extending to a thicker pole. The purpose of conventional forks is to provide stability in breaking as motorcycle slow down. A conventional fork is actually more ideal for choppers as there is flexing that occurs on the higher part of the fork, just on top of where the clamping occurs. An inverted fork (Upside Down Forks) is the exact opposite of a conventional fork as it is a massive tube called the Stanchion extending to a smaller tube called the Slider. In this case, the massive Stanchion appears to be engulfing the thinner slider. In this type of fork, the triple tree clamping occurs on top. Inverted forks are ideal for sport bikes or race bikes as the flexing occurs in the bottom of the fork, just by the clamps. Why The Need For Inverted Forks? Conventional forks have certainly been around for a very long time as they provide stability and safety for most types of motorcycle riding that even includes sports. The reason why conventional forks are so reliable is that they are a proven formula that has stood the test of time. The reason why inverted forks were invented was to provide more stability in breaking rigidity. This pertains to the stability of a motorcycle as it breaks from faster speeds. By lessening the amount of weight placed on front wheel of the motorcycle, the inverted fork is able to provide more flexibility in handling. It also works to increase stiffness in the bike’s front end, making it a safer type of fork for sport riding. For those wondering why stiffness results in more safety, stiffness makes it easier for the driver to control the motorcycle while it is breaking from faster speeds. If stiffness is absent from the equation, a driver would most likely lose control of the front wheel due to the momentum of weight placed on the front wheel. If you are buying or building a bike, you need to choose between conventional or inverted forks. Choosing between them depends on how you plan on riding your bike. If you plan on using your bike for sport, the more suitable fork to use is inverted. On the other hand, if you just plan on riding within the speed limits without going off-road or any other extreme road conditions, either a conventional or an inverted fork should suffice. Conventional forks provide a lot of flexibility for most choppers and sport bikes. With its classic design, conventional forks seem to provide better shock absorbers with their more dynamic springs. Standard forks work better for off-road riding as their smooth spring absorbers are able to take the punishment that comes with off-road riding. They also take away impact from riders who hurdle through bouncy roads that cause their bikes to jump and land on occasion. Conventional forks are much easier to maintain as they are easier to clean and require less fluid change. Conventional forks are much cheaper to replace regularly as many of them are associated with damper assemblies that are cheaper in cost as compared to cartridge assemblies that are usually associated with inverted forks. You can use inverted or conventional forks on just about any chopper or cruiser. However, sport bikes today are most likely to have inverted forks on them. The reason to this is because of the fact that these forks provide a better performance than conventional forks for racing or sports riding. They take away less sprung weight and provide a more rigid control of the front wheel, which are very critical for driving at fast speeds. Inverted forks work great on Supercross bikes that are used to hurdle very long jumps per lap. The upside down fork together with its triple-clamp assembly is very ideal for allowing sport bikes to take the punishment of each jump. Inverted forks provide more rigidity in breaking as the upper bushing of the slider exceeds past the triple tree. This forces the front wheel to be more controllable in the event of any type of breaking. It is enhances bike handling by lowering the amount of unsprung weight on the motorcycle. Through this, bike riders are easily able maneuver effortless around corners. 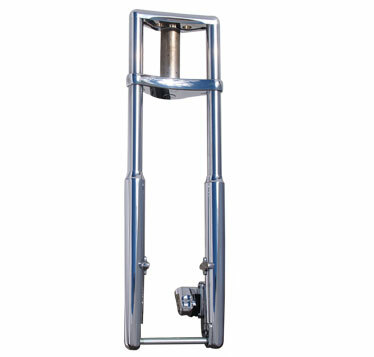 Inverted forks have larger tubes that attach to the triple tree and its smaller tube attaches to the bike’s front axle. This gives the clamps more to hold on to so that the front wheel can take an enormous amount of punishment. It increases suspension performance, which is a must for all sport bikes. Many consider inverted forks better looking than traditional forks. They seem to add a sportier look to any type of chopper or sport bike that uses them. Conventional vs Inverted Forks For Choppers. The Bottom Line? 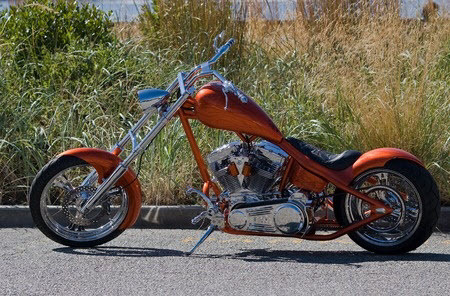 You are going to get all kinds of advice and opinions on conventional vs inverted forks for your chopper or bobber. It all comes down to preference. You can get a nice set of springer forks in inverted or conventional, and thy both look great. My personal preference on most bobbers or choppers is a conventional springer design. I think it looks better. But that's me. I know guys who swear up and down that inverted hydraulic forks are the best looking and have the best handing. So to each his own!